A poignant debut novel of an Irish gypsy boy’s childhood in the 1950’s by the author of the bestselling memoirÂ A Rip in Heaven. Ireland, 1959: Young Christy Hurley is a Pavee gypsy, traveling with his father and extended family from town to town, carrying all their worldly possessions in their wagons. Christy carries with him a burden of guilt as well, haunted by the story of his mother’s death in childbirth. The peripatetic life is the only one Christy has ever known, but when his grandfather dies, everything changes. His father decides to settle down temporarily in a town where Christy and his cousin can attend mass and receive proper schooling. But they are still treated as outsiders. Jeanine Cummins is the bestselling author of the groundbreaking memoir A Rip in Heaven. She worked in the publishing industry for ten years before becoming a full-time writer. She was born in Spain, and has lived in California, Maryland, Belfast, and New York City, where she remains now with her Irish husband and growing family. The Outside Boy is her first novel. This is a brilliant novel. She uses some of the travellers dialect but not too much that we wouldn’t be able to follow along. I am very thankful for that. She put an apology in the introduction of the book for not using all of their proper dialect. I found it very interesting learning about the travellers way of live and about Ireland history. The story itself it very moving. 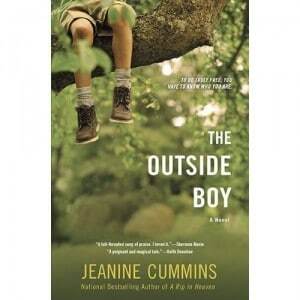 It is a coming of age story of Christy as he discovers exactly who and what he is. He must make some life choices to be who he really wants to be. It is very moving and all in all, I found it sad. The novel is filled with complex situations and emotions. Most of the characters are very memorable and moving. The ending was very bittersweet and ties up all the loose ends. It’s a hard book to put down once you crack open the cover. 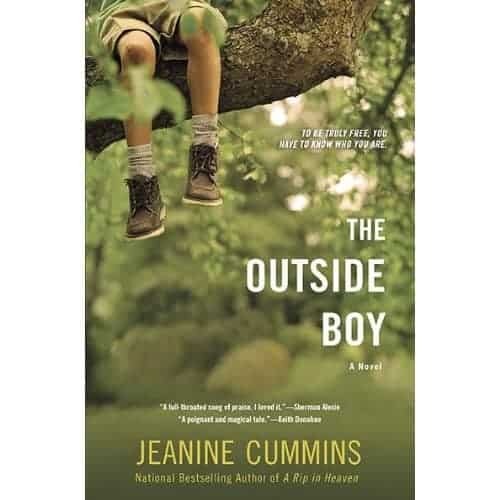 Buy It: You can buy The Outside Boy by Jeanine Cummins for $15.00 US/ $18.50 CAN.